Located near the north shore of Crystal Lake, Crandall Avenue is named for Crystal Lake’s first white settlers, Beman and Polly Crandall, who arrived here in February, 1836. At that time, the land in this region was owned by the United States government, which granted homestead rights to settlers. The government acquired the land through an 1834 Indian Treaty. The local indians, who were mostly Fox, Sacs, Chippewas, Ottawas, and Pottawatomies were given a reservation of 5,000,000 acres on the east bank of the Missouri River. The indians were allowed to remain in the area until August, 1836, when they were obliged to move west of the Mississippi River. Beman Crandall was born October 12, 1794 in Cicero, New York. He was united in marriage to Polly Tuttle in Pompey, New York on October 21, 1821. To this union, ten children were born: Lucius Beman (b. 1823), James Erwin (b. 1825), Orson Hyde (b. 1827), Florence (a son) (b. 1829), Orestes Augustus (b. 1833), Oscar Tuttle (b. 1835), Benjamin Franklin (b. 1838), Laura Maria (b. 1840), Mary Augusta (b. 1847), Charles Corwin (b. 1847). 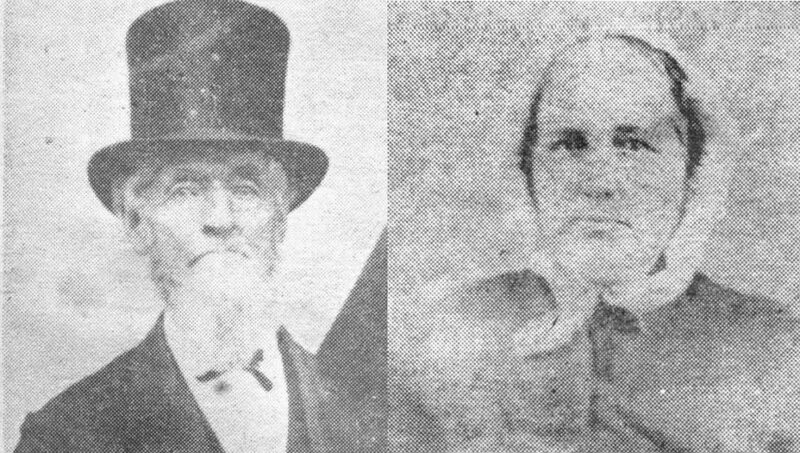 Mr. and Mrs. Crandall and six of their ten children came from New York State and traveled to Crystal Lake in a covered wagon. The family lived in the covered wagon for a time until a log cabin could be built. Their original cabin was built in the vicinity of today’s intersection of Virginia Street and Van Buren Street. Four of the Crandall children were born here. As other settlers started arriving, Mr. Crandall rapidly became a leader in the community, holding many of the important public offices. He was the first to build a house, first postmaster, one of the first school directors, one of the first election judges, and the first justice of the peace. The Crandall family lived in the area for less than fifteen years. By the 1850 census, Beman Crandall and his family had moved west to Missouri. Beman Crandall has been described as very spry, quick in his movements and extremely dressy in his later years. About 5 feet 11, he always wore a black Prince Albert outfit and a high top silk hat. Beman Crandall died October 25, 1884 in Brownsville, MO. His wife, Polly Tuttle Crandall died December 2, 1864. They are both buried in the Lake Avenue Cemetery.